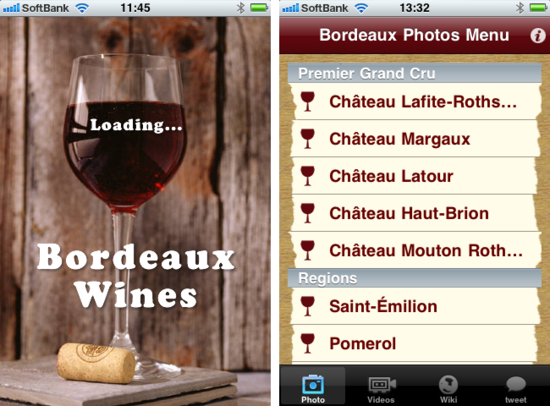 Bordeaux Wines - iPhone app for wine lovers, just released. ：Quantis,Inc. Quantis,Inc. 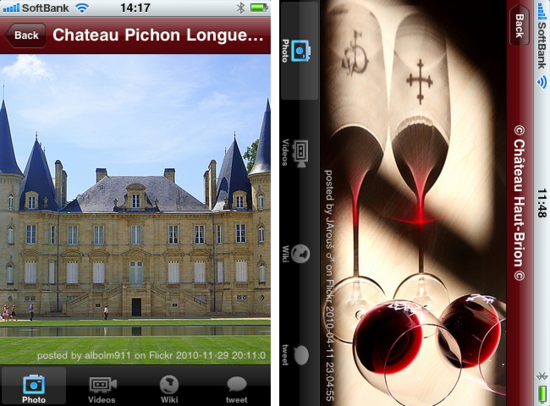 >> iPhone apps >> Bordeaux Wines - iPhone app for wine lovers, just released. Explore the amazing world of Bordeaux wines! 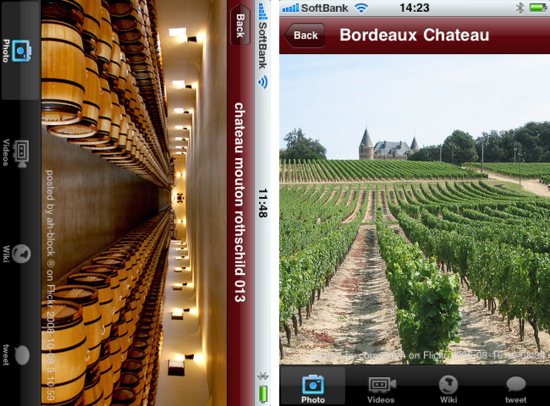 You can enjoy tons of photos, videos, library and other Bordeaux wine's contents. 1) High resolution wine and winery photos. 2) More than 1000 videos with YouTube player. 5) Contents are updated regularly. 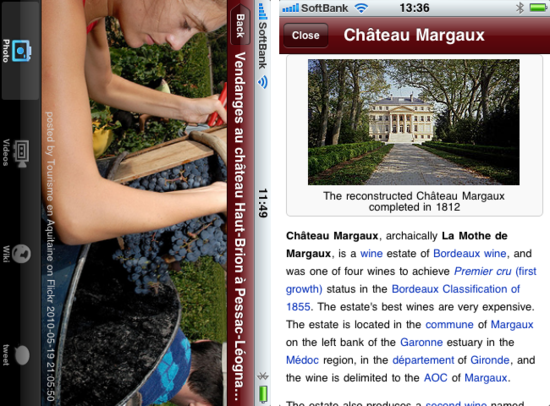 Bordeaux Wines requires internet connection.